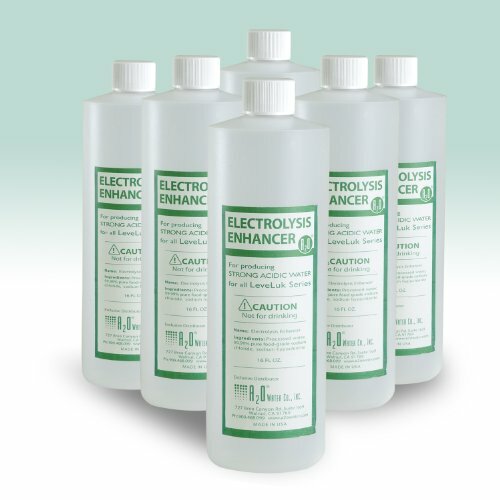 Electrolysis Enhancer solution for producing strong acidic water for all LeveLuk Series. Pack of 6 bottles of 16 Fl. Oz. Made in U.S.A. * * * * * * *Leveluk is the trademark by Enagic Inc. If you have any questions about this product by Sanastec, contact us by completing and submitting the form below. If you are looking for a specif part number, please include it with your message.